The Ghostbusters, of course! But which ones? The latest, if you haven’t heard, are an all-female crew headed by Kristen Wiig and Melissa McCarthy, with Saturday Night Live cast mates Kate McKinnon and Leslie Jones. 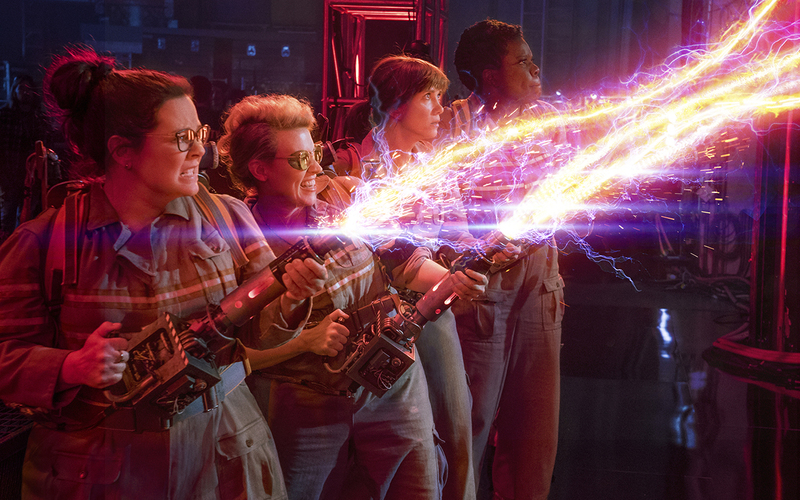 Months before the new Ghostbusters movie was finished, some people didn’t like the idea of anybody futzing with the iconic 1984 original, starring Bill Murray, Dan Aykroyd, Harold Ramis and Rick Moranis—and especially, apparently, changing the gender roles. The first trailer for the film ignited a firestorm of online trolling and ugly sexist criticism, mostly about bringing women into an all-boy’s club. 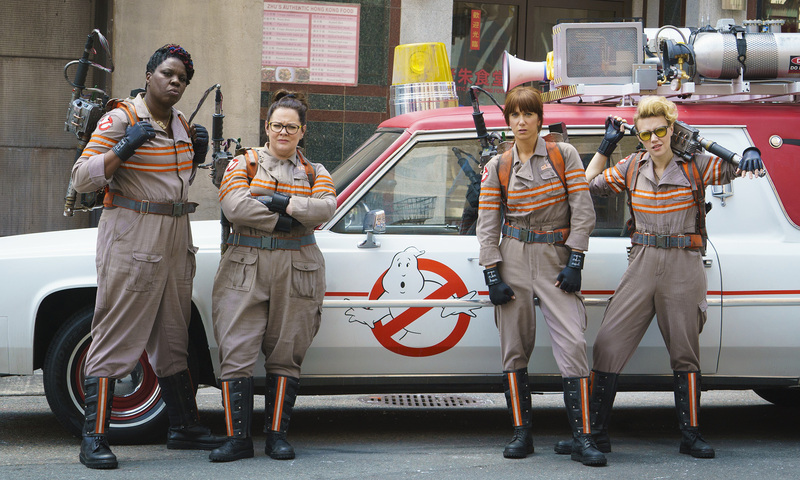 The new movie confronts its critics head-on, in a scene where the new Ghostbusters see the doubtful—and hateful—comments underneath online clips of the first spooks they’ve ever captured on video. Then it’s back to funny business—and girls busting ghosts. Mixing fresh new gags with respectful retro riffs, director and co-writer Paul Feig lets his funny bone point the way, as he demonstrated in Bridesmaids, The Heat and Spy. And he’s working with a cast of comedic dynamos. Wiig’s delightfully dry, droll wit is a perfect complement to McCartney’s bigger, brasher, bawdy physical bravura. They haven’t teamed up for a project since Bridesmaids, and it’s great to see them collaborating again. Leslie Jones gets plenty of laughs as Patty, a subway worker with a knack for Big Apple history who becomes the fourth Ghostbuster. 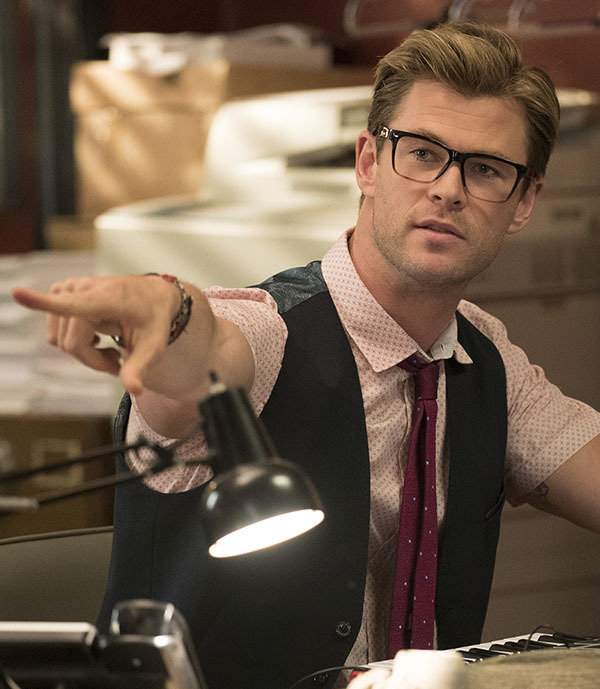 Chris “Thor” Hemsworth seems to be having a ball as the gals’ office “himbo” receptionist, perhaps relishing the opportunity to parody his own macho movie image and the film’s flip of gender roles in general. But it’s Kate McKinnon who practically steals the show. Her wacky, tech-crazy, live-wire lab-nut weapons wonk feels somewhat of a nod to Dan Aykryod’s character in the original, but she takes it to a totally new place in a unique role that may break her out beyond her hilarious SNL skits. The plot: Yes, there is one, but it’s hardly worth mentioning. There are fleeting cameos by former Ghostbusters stars and other folks too, including Ozzy Osborne, who shows up at a heavy metal concert. So does a big, bad winged ghost demon. The audience loves it—rock and roll! It all rises to a screaming crescendo, wobbles and then kind of falls apart, when all the ghosts come out to wreck havoc on the streets and there’s a big, swirling special-effects vortex, a bunch of goop and goo, a parade of giant ghost balloons and appearances by Ghostbusters Hall-of-Fame specters. Definitely stay for the credits, though, and beyond, because this is one movie that’s not over until it’s over—completely over. And when it is, as the final version of the familiar theme music (this time by Fall Out Boy and Missy Elliot) plays out and makes your toes tap, the message is clear: For good, ghostly summertime fun with a strong dose of freewheeling 2016 girl power, who you gonna call? You know who!